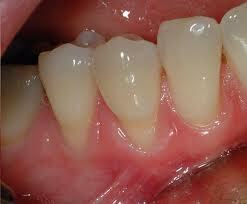 Do you have a sensitive tooth that looks like this? If cold drinks or sodas cause pain that goes away quickly, it is probably root sensitivity. Touch by a toothbrush or fingernail can be sensitive, too. This is very common and can be stopped. 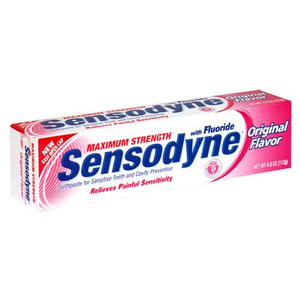 Use the easiest remedy 1st: Sensodyne toothpaste and cut down on acid drinks and foods. See my blog from March 3rd, Stop Teeth Being Sensitive! If this doesn’t work, your dentist has to help. The easiest dentist treatment is sealing the root with a bonding liquid. This works like magic most of the time. No drilling, no numbing and it doesn’t hurt. It’s amazingly simple. Sometimes this is a lasting treatment. 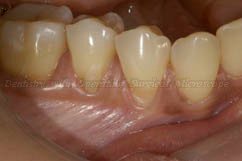 Some teeth become sensitive again after 6-18 months. Repeating the procedure is simple. When these 1st three treatments don’t work, a filling is required. 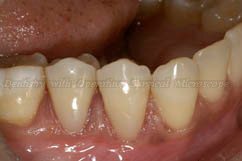 I expect root fillings to stop the root sensitivity completely. They look good and match the enamel color of your tooth. 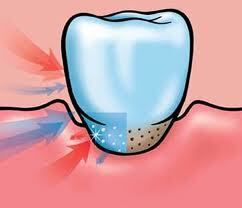 One tooth feeling very sensitive is not the same as when all your teeth are mildly sensitive. Try simple fixes first. They work most of the time! Next blog: WHAT CAUSES RECESSION, ANYWAY? Are You a Patient or a Person? 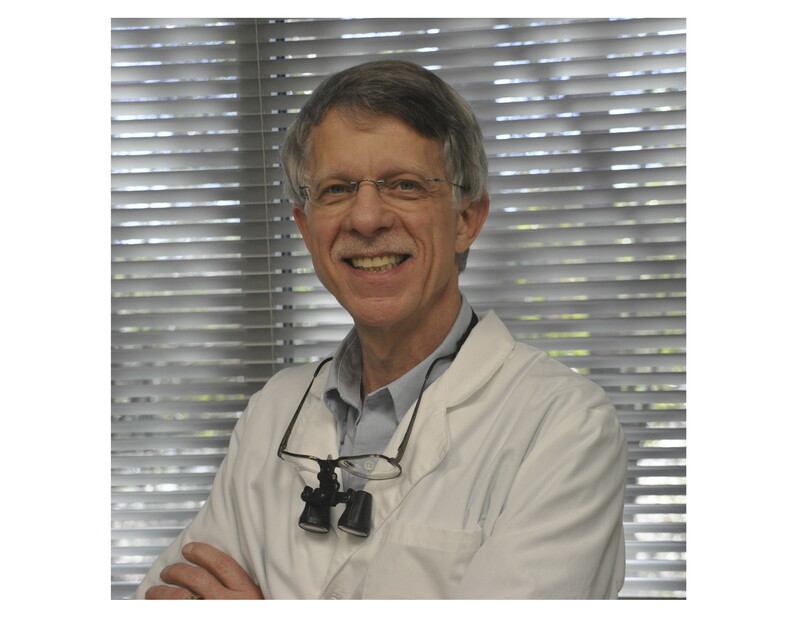 How Old are Your Silver Fillings?